So, after 2 highly successful keynotes this week, I’ll golf today. Naturally, I woke up with this thought. But that thought was also running through my mind yesterday as I flew home from Orlando. The fellow who booked me for the event was on stage before me, and was speaking eloquently about the potential that existed in the room – a room full of research scientists. 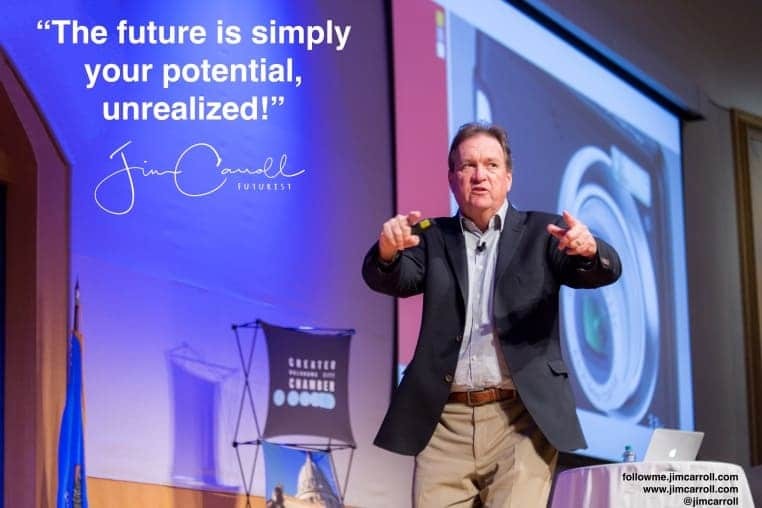 He spoke as to how they could accomplish great things in the faster future if they could truly realize their full potential. Things like that. Actually, he was a really good speaker! And somehow, while he was talking, this phrase entered my mind, and I quickly put it into my phone, because I knew that it was daily-quote worthy! But even more – I ended up incorporating the idea into my keynote on stage yesterday. All of us are born with potential, and we start each and every day with that potential in our kit bag. What we do with it is up to us. Every day, one day at a time, we have the opportunity to succeed, or to fail, based upon what we decide to do with our potential. On this day, what will you do with your potential? For me, I’ve got a round of golf to pursue!